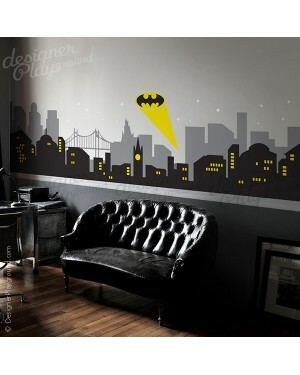 Batman light in the night of Gotham city, perfect for wall with chair rail. 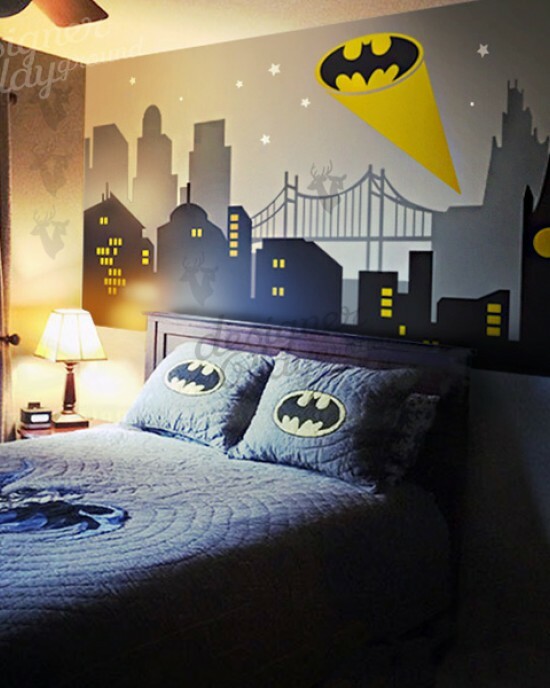 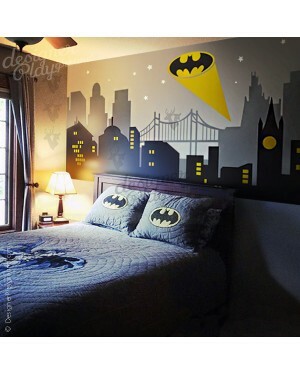 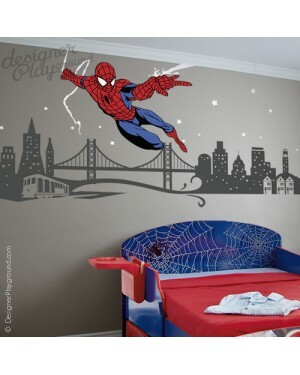 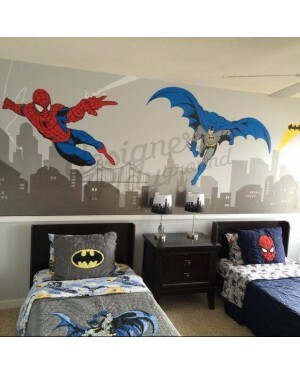 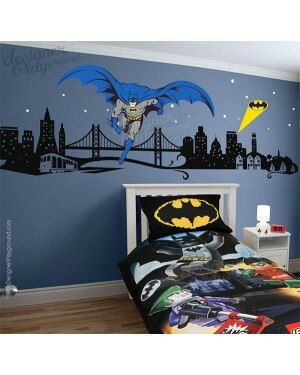 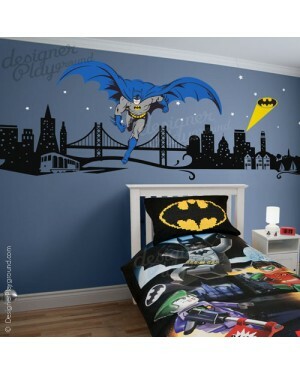 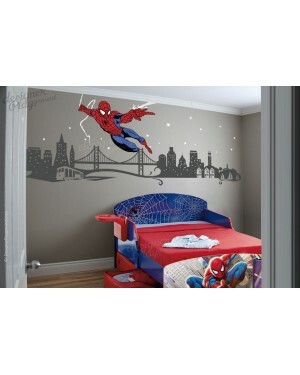 It's way too cool to be able to sleep in a room with the super hero, not only for kids, adults love this too! 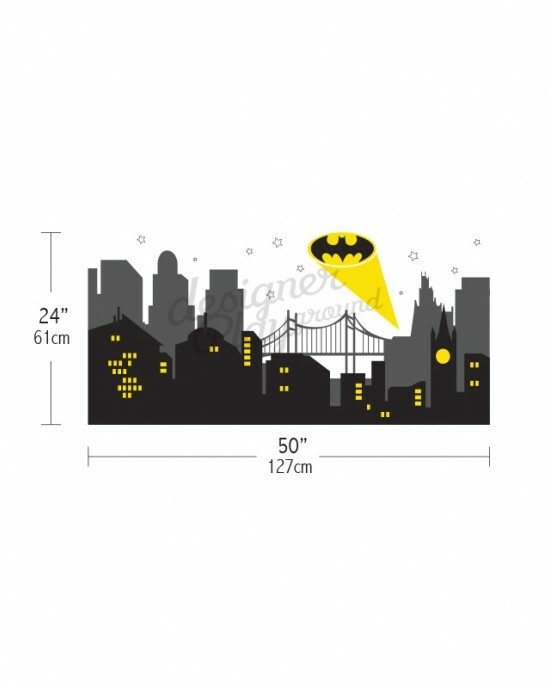 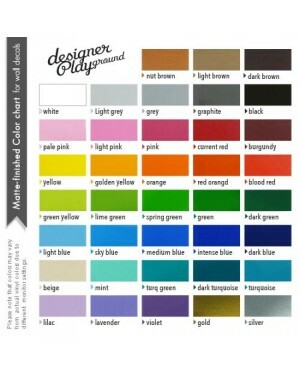 > This design comes in 4 colors option for the cityscape, if you need to change the colors for the character, please specify which color you like to replace in the color request text area provided.